Can Wearable Technology Increase Employee Performance? It seems like it was only yesterday that futuristic prototypes of smartwatches and smartglasses were being shown off at future tech conferences. Today, what we have before us is a wearable tech revolution. Smartglasses, smartwatches, and smart health gadgets have hit the street with a bang: it’s already being $1 billion market and is expected to explode into a $508 billion market in just three years, according to some reports. Is this the next step in human evolution? 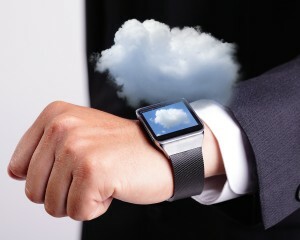 Can wearable tech boost your employees’ engagement and productivity levels? If so, should, you be buying wearables and encouraging your employees to use them? Should you think about favring new talent that receives a potential performing-enhancing edge from wearable tech? Potentially, the answer is yes, according to the findings of this study from Goldsmith University in London, which found that wearable technology – cloud-enabled tech in particular – can boost employee productivity by 8.5 percent and increase job satisfaction by 3.5 percent. The three main areas where wearable technology can have most potential impact on performance are employee well-being, instant access to important information, and improved customer service. Take the health-based wearable tech offerings, for example. A health-monitoring smartwatch can measure heart rate. If combined with a compatible health- and fitness-management app, wearable health tech could help to create healthier and more productive employees. In time, wearable apps will be able to track air quality, glucose levels in the blood, etc. It will be like walking around with a doctor, nutritionist, and personal fitness coach on your arm. The employee’s doctor will eventually have access to all this data and use it to make recommendations on lifestyle improvements and overall health. Used effectively, health apps and wearable tech could create a fitness and well-being revolution, lead by the innovators and early adopters of such technologies. This has some interesting implications for HR and recruiters. If people who use these fitness apps and wearable tech have a better sense of well-being, will the time come when recruiters ask candidates for well-being reports based on their well-being apps? This might be of obvious value to jobs that require manual labour and a degree of fitness, but in truth, well-being reports could be valuable in all professions. While we are not quite there today, I think there is no doubting that wearable health tech will give corporate wellness programs a massive injection of energy. Organizations can deploy their wellness apps on employees’ wearable health devices. There could be wellness and activity programs for sedentary, desk-based workers to help alleviate the health concerns of working in a sedentary fashion for hours at a time, for example. There is a long way to go before wearable tech and apps can be shown conclusively to boost employee productivity and well-being, but I am sure the time will come. For the moment, however, it makes perfect sense for HR professionals and well-being administrators to encourage the use of wearable health tech among their staff. It could very quickly lead to gains in well-being, personal effectiveness, and attendance levels in your staff. I think wearable health tech and well-being apps should be key imperatives for HR in 2015.